William Morrow Paperbacks, 9780062825575, 512pp. It's "Call the Midwife" set in the U.S. homefront during World War II. 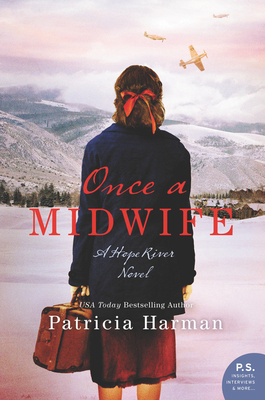 If you loved Patricia Harman's Midwife of Hope River you'll love Once a Midwife! Patricia Harman, CNM, got her start as a lay midwife on rural communes and went on to become a nurse-midwife on the faculties of Ohio State University, Case Western Reserve University, and West Virginia University. She is the author of two acclaimed memoirs and three novels: the bestselling The Midwife of Hope River, The Reluctant Midwife and The Runaway Midwife. She has three sons and lives near Morgantown, West Virginia.